The emperor is the giant of the penguin world and one of the largest of all birds. Gold patches on their ears and on the top of their chest brighten up their black heads. If the Adélies are the comics of the penguin world, the slow, dignified emperors are the elder statesmen. Emperors and their closest relative, the king penguin, have unique breeding cycles, with very long chick-rearing periods. 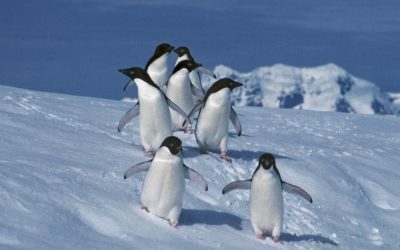 The emperor penguins breed the furthest south of any penguin species, forming large colonies on the sea-ice surrounding the Antarctic continent. They may be the only bird never to set foot on land and even breed on frozen sea. 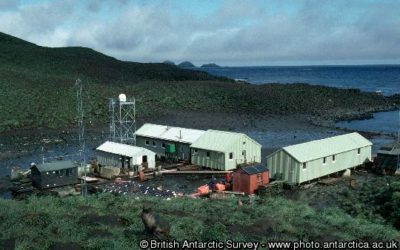 Emperors are true Antarctic birds, rarely seen in the subantarctic waters. So that the chicks can fledge in the late summer season, emperors breed during the coldest, darkest time of the year, with temperatures as low at -50°C and winds up to 200km per hour. The female lays a single egg in May then passes it over to her mate to incubate while she goes to sea to feed. For nine weeks the male fasts, losing 45% of his body weight. The male balances the egg on his feet, which are covered in a thick roll of skin and feathers. The egg can be 70°C warmer than the outside temperature. To achieve this amazing preservation of heat, emperors have a special combination of adaptations, with a dense double layer of feathers – about 70 feathers per square inch – and a large fat reserve. They also cast aside the aggression of other species, with up to 5,000 adults and chicks huddling together for warmth, shuffling round so each gets a turn on the outside. To prevent heat loss, emperor penguins have proportionally smaller beaks and flippers compared to other penguins. When the female arrives back in August, just around the time when the chicks are due to hatch, she takes over feeding the chick while the male treks up to 100km over the ice to find food. Afterwards, both adults rear the chick. When the sea-ice begins to break out in December/January the chicks are shedding their soft down, but still go to sea, weighing only 60% of adult weight, the lowest value for any penguin. It is thought that emperors evolved this unusual winter breeding to allow the chick to be independent at a time when food is most plentiful. Emperors have by far the deepest and longest dives for any bird. They often reach depths of 700 feet, and can stay submerged for up to 18 minutes. They can breed when they are three years old, but many will not start until they are six. They can live for up to 20 years. 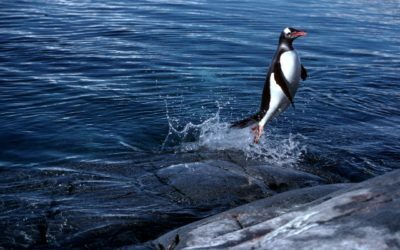 They have a high survival rate compared to other penguins, with an average of 95% surviving the year. However, if it is a harsh sea-ice year, many chicks will die of starvation. 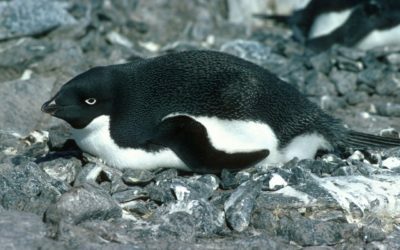 Emperors are the least common Antarctic penguin, with only about 200,000 breeding pairs.